In 2005 we received an email from Moscow. The email didn’t say anything—not a word—but there was a file attached, and the file contained one of the most contrary prose poems we had seen—”The Maintenance of Public Order.” We published that poem and struck up a fragile correspondence with the elusive poet who had sent it. 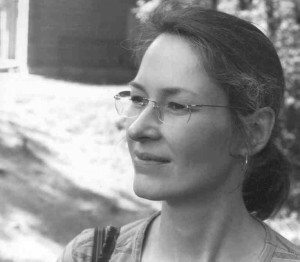 She was a Massachusetts born teacher, translator, and writer, we learned, wandering the frostbitten edges of Eastern Europe, just beginning to write poems and send them into the world. We encouraged her to send more of them to us. Then, as quickly as she had appeared, Karina Borowicz disappeared. She stopped sending poems. Our Russian agents lost her trail. She had returned to America, we found out later, and vanished into the MFA program at the University of New Hampshire—encouraged in part, she tells us now, by her debut publications in Contrary. At New Hampshire she won the Richard J. Shea Award for Poetry, then she interned for the Paris Review, and then she put together her forthcoming book, The Bees Are Waiting. Due out in 2012, The Bees Are Waiting has already been selected by Franz Wright for the 2011 Marick Press Poetry Prize. It has been named a finalist for the 2011 T.S. Eliot Prize, the 2011 May Swenson Poetry Award, Del Sol Press’s 2010 Poetry Prize, and as a semi-finalist for Black Lawrence Press’s 2010 Hudson Prize and the 2011 Crab Orchard Series in Poetry.